How has your battery life been on your Galaxy S6 or Galaxy S6 Edge? As you know, we considered each to have “average” battery life at best in our review. I don’t think we are alone in describing it as that either. And while a number of you are reporting better-than-average battery life, we are still holding out hope that Samsung can do something to improve the entire situation. Today, in an update, they are attempting to do just that. If you own the phone, feel free to jump into your Google Play store and check for updates to apps. 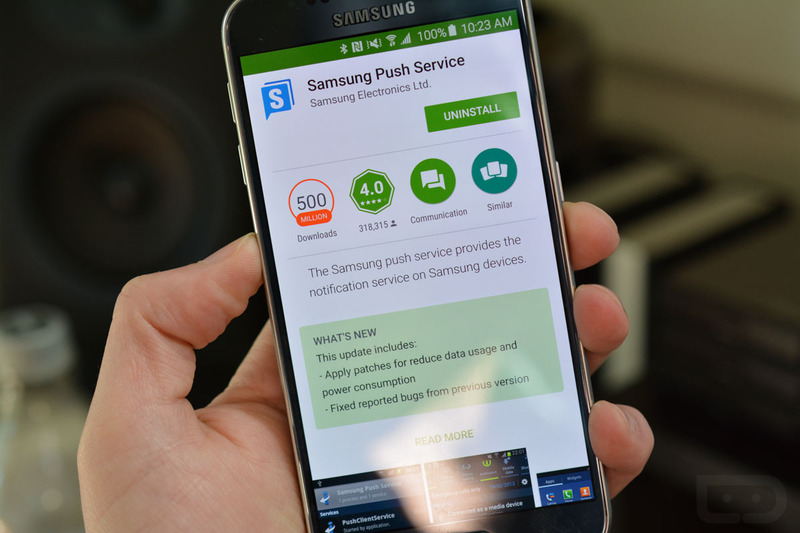 You should see one for Samsung Push Service. You do, right? Update it. Now. According to the changelog, the update not only brings a patch to reduce data usage, but it aims to reduce power consumption as well. Do we know if a tweak there will be enough to drastically or at least recognizably alter battery life for the better? Tough to say without some further testing, which is what we are about to do. Let us know if you see any improvements on your end. Note: This is rolling out to almost all Samsung devices, not just the Galaxy S6.